Closeup Portrait Of Beautiful Young Woman With Makeup Brushes... Stock Photo, Picture And Royalty Free Image. Image 49142021. Stock Photo - Closeup portrait of beautiful young woman with makeup brushes. Red lips. Isolated over white background. 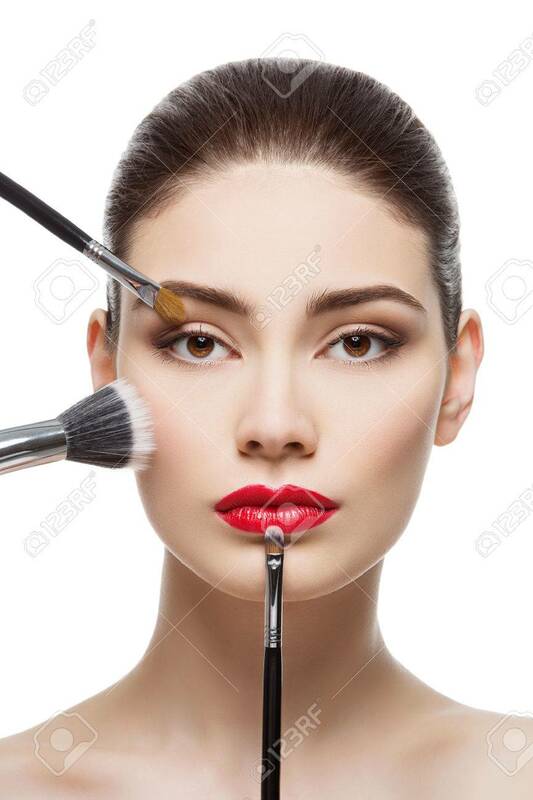 Closeup portrait of beautiful young woman with makeup brushes. Red lips. Isolated over white background.